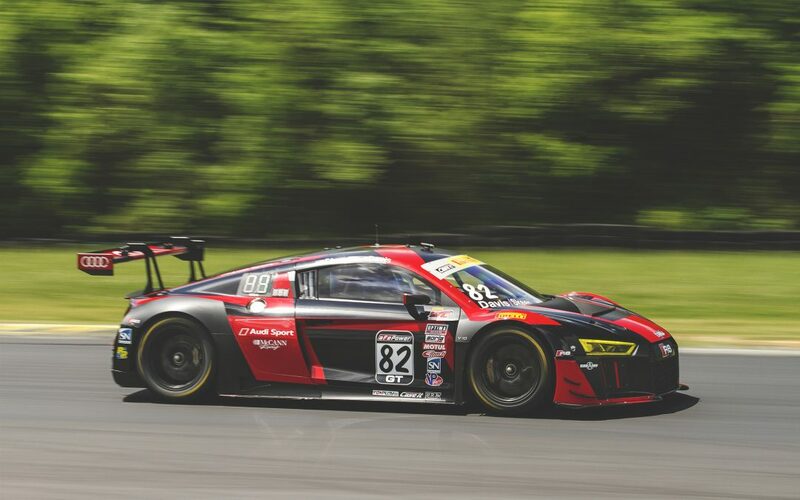 Mike Skeen showed his local knowledge of Virginia International Raceway Saturday by capturing the Pirelli World Challenge SprintX pole position in the No. 82 McCann Racing Audi R8 LMS over Mercedes driver Ryan Dalziel. Skeen, a multi-race winner in Pirelli World Challenge who’ll team up with Andrew Davis in the SprintX race, clocked a late qualifying run of 1m42.989 seconds (114.3 mph) to easily break the old PWC VIR track mark of 1:56.086 (101.41 mph) set back in 2010 by Andy Pilgrim in the last PWC event at the track. In fact, Skeen was the only driver in qualifying to better the 1:43-second barrier on Saturday.